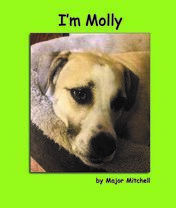 Molly was a very young puppy when she was found wandering the streets. She was taken to the local animal shelter where a nice man and woman adopted her and took her to their home to live. Now she would like to tell you about her new home. All Lilly wants for Christmas is to be able to see…or so she says. But, is there really something more than the ability to see that Lilly wants? 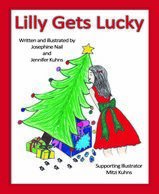 After reading Lilly’s letter to Santa, Lilly’s parents realize that independence might just be what she really wants.A Christmas gift of a guide dog named Lucky makes all the difference in Lilly's life. Pam and her friends are up for an adventure at Papa and Nana’s farm. While learning about agriculture, Pamela and Robert begin to consider future career aspirations. Pamela learns a thing or two about the life of a farmer. 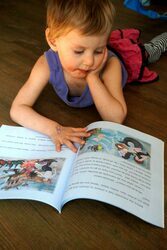 Written by Speech-Language Pathologists, suggested activities are provided to help children engage in the story. Additional modifications are included so that Children with Apraxia of Speech can engage maximally for the full benefit from the story. Come along to the farm with Pamela and her friends! Lola was a rescue dog waiting to be adopted. She was a sweet little adventurous dog who loved to explore. But Lola wished she had a forever home. 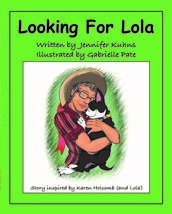 One day her wish came true, and Lola was adopted and went home to live peacefully with a lady named Auntie Kay and her husband, Pete ... or so they thought. 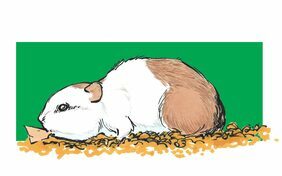 All Taco, a chubby little guinea pig, ever did was sleep and eat taco shells and tortilla chips. But that changed when he became a kindergarten classroom's new pet. 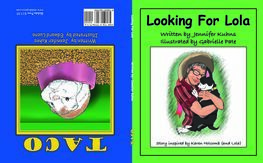 While studying about food and good nutrition, the kindergarten children realized that Taco needed to eat better food, food for guinea pigs, not people junk food. After being exposed to new and different foods, Taco slowly becomes healthier, happier, and even, well ... he thinks ... handsome. 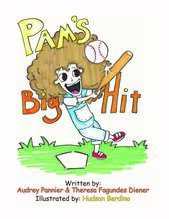 Free-spirited and adventurous Pam stars in this short story designed for children who are ready for a storyline that include words that are motorically easy to say. While a fun read for many children, it is a great addition to the library of children with Childhood Apraxia of Speech and/or Dysarthria. 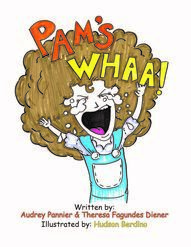 Written by speech-language pathologists, Pam Learns books include strategies for motor speech learning and language enhancement. Come learn and play with Pam and her friends! Amy likes playing with her teddy bear and jumping on the trampoline. She also likes to swing and have pretend tea with her dolls. What Amy doesn't like is to listen when her Mommy and Daddy tell her to do something. 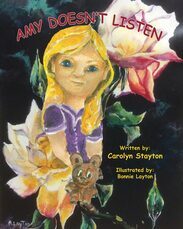 Follow Amy's exciting adventure as she learns that listening is a very important part of growing and being safe. Based on a true story, written by Carolyn Stayton and beautifully illustrated by Bonnie Layton, THE CHURCH THAT STOPPED THE TIDE is a perfect story to teach young readers the important lesson of faith and trusting in God when things get scary. “This is more than a children's story. It is a true and real story about forces and ideas greater than ourselves. It shows that all things are not explainable. The illustrations support the story wonderfully with their "wavy" texture and pulls all the books elements together.” -Jennifer Kuhns, Author of PAISLEY OR PLAID...being your very best you! 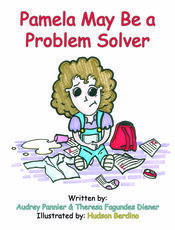 Ten-year-old Katie Collins doesn't like to listen to her parents and do her chores. Neither does her pet dog, Fifi. So when her parents decided to send her to her grandparents' ranch, she wasn't happy. But when Katie continues to disobey, it's a good thing that they have Scooter, the Cow Dog, on their side. Bonnie Bunny wants more than anything to be a real cowgirl like the humans she watches every day from her yard in front of her den. When she wanders from the safety of her yard while playing with her stick-horse, she learns the world can be a scary and dangerous place. "I'll do that later!" "Not right now!" "In a minute!" Sound familiar? Putting things off gets you a visit from a little green monster. The PROCRASTIMONSTER ... watch out, or he will grow to be your best buddy! As Beam seeks to skip out on being a “little star,” he grows up just a *twinkle* too fast. Join Beam on his great adventure in the sky! "The true gift of God’s creation is indeed at the heart of this story. Accepting His gifts and living for His will and purpose – not ours – is certainly the lesson that can be learned by all who enjoy this story of God’s little star." - Susan Mattos, Publisher of Mattos Newspapers, Inc. Miles to the Moon is a story about a boy named Miles who has a huge imagination and tons of hope. Miles also has something called Postural Orthostatic Tachycardia Syndrome, or POTS. Even though POTS makes Miles' body tired and not work very well, in his dreams and his love of all things outer space Miles finds a way to help people with POTS. Paisley or Plaid…being your very best you,is a collection of seven stories and five poems for children visiting the topics of respect, manners, acceptance, sharing, bulling, dedication, trust and family to name a few. With any luck, these stories and poems will bring about an awareness of life lessons. "My daughter and I loved reading Paisley or Plaid… being your very best you. The variety of stories and poems were appropriate for my young daughter at the age of five and also great for my ten year old son. The stories were creative and thoughtful, and always with a lesson to be learned. I loved the poems and how they were placed throughout the book. The illustrations were adorable and very relatable. 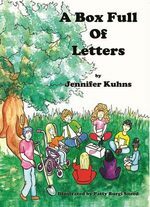 My daughter has enjoyed other books written by Jennifer Kuhns such as Hailey’s Dream"- Janice Keene, Preschool Teacher and mom of two. Silver Medal winner as among the best in family-friendly media, from the Mom's Choice Awards! While hunting and scavenging through steamer trunks and boxes long forgotten, Hailey and her friends find a shoe box full of letters from 1942. Within the pages of those letters, the children learn about more than family and family history. They learn that prejudice and discrimination has a very long history. "I really enjoyed the lesson Hailey learned. I think she learned that being in a wheelchair is actually a lot more fun than you would think." - Audra, 4th grade. Hailey is starting her first day at a new school where no one thinks they have ever had a disabled student before. Hailey is not only the new girl, but she is a girl in a wheelchair. 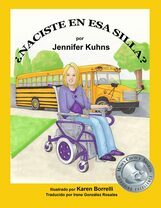 She is a girl with strength, attitude and a great sense of humor who helps her teacher and her fellow classmates understand what a disability is. Nine year-old Debbie Folino believes she can do most anything. But when she takes a dare to trick-or-treat the witch living in the spooky house at the end of Oak Street, she discovers eighty year-old Sara Baker, who changes her life forever and introduces Debbie to someone even more important, Jesus Christ. Five Stars from The Midwest Book Review: "Written by Major Mitchell, THE WITCH ON OAK STREET is a wonderful series of original, imaginative, and entertaining tales in which a nine year old heroine named Debbie Folino learns amazing life lessons about true friendship, Christian faith, and ultimate belief. Along with her friends she experiences the challenges, hard knocks, laughs, and joys of growing up with an unexpected ally - The witch on Oak street turns out to be a very wise lady who believes in Jesus and other good things. Delightfully illustrated with humourous black and white drawings by Karen Borelli, THE WITCH ON OAK STREET is certain to find a solid readership among the 9-11 year old crowd. The stories are effectively conveyed morality tales. Each one deals with a certain problem or challenge faced by children, and ranges from selfishness and telling untruths, to phony popularity and even mortality. THE WITCH ON OAK STREET is a great way to present natural growth to young readers, as well as a model for asking the important questions relevant to childhood."